Conflicting statistics are reported online, but as far as I can tell the the club grew to over 90,000 members, Ronald Reagan and Walter Cronkite counted among them. At #1,463, that makes Grandpa an early bird, and I smile at the thought of him boarding his space plane while The Great Communicator and The Most Trusted Man in America wait their turns on the tarmac. 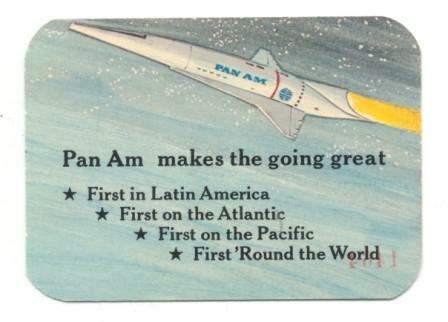 JFK called the space program the “greatest adventure on which man has ever embarked.” Who can blame James Montgomery, Vice President of Sales at Pan Am, for being exuberant about joining in the venture? 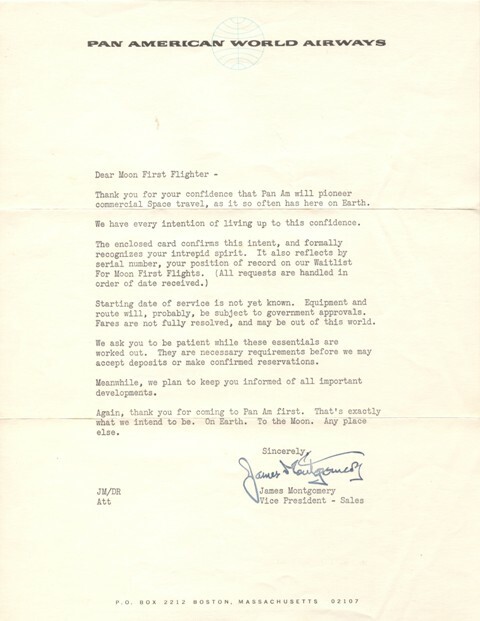 Despite the promise and entrepreneurial spirit of his letter, though, Pan Am went bankrupt in 1991, and nearly two decades later we’re still without commercial space flights. By year’s end, our astronauts will be standing in line with Grandpa, Ronnie, Walter and the rest of the 90,000, while other countries take command of the heavens. Fantastic. You lucky dog, I can’t believe you have that! Just the sentimental and/or historic kind. Thanks and I like your website,nice job. I just donated my card to the Smithsonian’s National Air and Space Museum. A picture of it is now on display in their Boeing’s Milestones of Flight Hall. My number was 1043 and I made my reservation in 1969. That’s amazing. 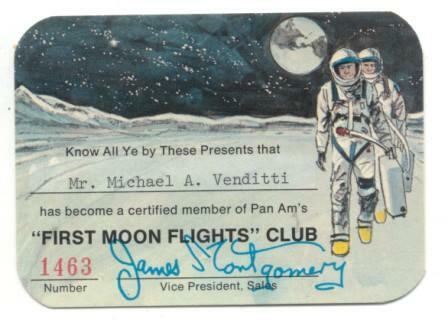 Conde Nast Traveler magazine did a feature story on commercial space travel, and my grandfather’s card was printed in the article. It’s great to have the cards in places where people can see them.